Alliance Earth has come up with a way to help reduce the plastic waste all over Africa and create fuel for the people at the same time. The Dung Beetle project is a trailer-mounted movable art stage sculpted from recycled metal. It was built in Johannesburg, South Africa using South African skills and technology. It is a power-producing, fully operational plastic recycling system that turns single use plastics into diesel and gas. The prototype serves to inspire people to copy the free gasification technology. It also uses this disruptive technology to educate and support communities. The main aim of this project is to environmentally educate and to get the South African communities to come together and talk about how to solve these global problems. A very high level descriptor (not the highly technical kind) — The Dung Beetle is a trailer-mounted movable art system sculpted of recycled metal. The sculpture is the shell for a hydrocarbon cracker built into the DB’s “dung ball”. 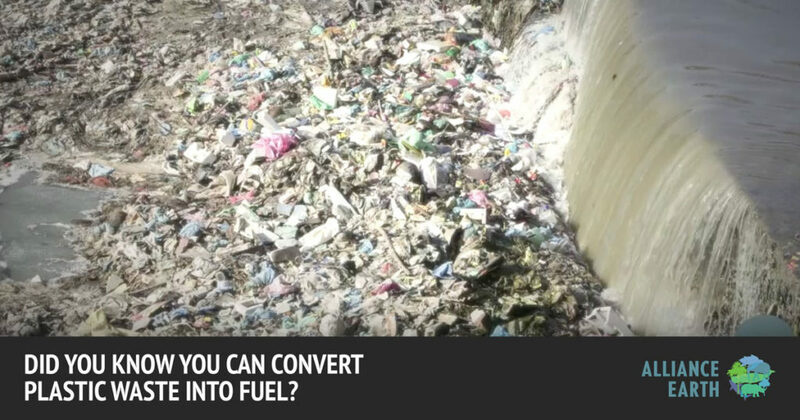 It is a working invention that converts plastic trash to fuel using plasma gasification, all open source and shown to participants who can make their own. Participants and audiences interact by feeding the DB with on-site plastic trash, whether on playa or in outreach area like coastal towns in Mozambique. The fuel outputs from the plastic are: low-emission diesel which powers the towing truck & other Mutant Vehicles, petrol & syn gas which powers a generator for LED lights & sound, & gives people gas on site, and runs gas flamers. Gas torches will burn & shoot flames on command about 2m into the air from the beetles upward facing bum. An art stage unfolds from the heavy duty 1 ton, 2-axle trailer to hold 3-5 people as teaching and learning center of attention. This entry was posted in Did you know? and tagged #cleanenviroment, #DungbeetleProject, #plasmagasification.